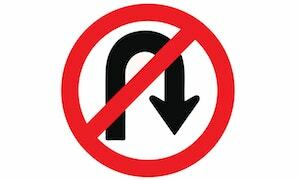 Improper U-Turn | Chicago Traffic Ticket Defense Lawyer The Davis Law Group, P.C. The driver of any vehicle shall not turn such vehicle so as to proceed in the opposite direction at any point closer than 100 feet to any intersection unless official signs are erected to permit such turns. It shall be unlawful for the operator of any vehicle to turn such vehicle in any street so as to proceed in the opposite direction in the territory bounded by and including Wacker Drive on the west and the north, Michigan Avenue on the east, and Congress Parkway on the south, unless official signs are erected to permit such turns. The Commissioner of Transportation, subject to the review and approval of the Executive Director of Emergency Management and Communications where appropriate, is authorized to determine those places within 100 feet of an intersection or within the area described in subsection (b) where turns in the opposite direction shall be permitted and to erect appropriate signs giving notice thereof. As a result, in Chicago, U-Turns are completely prohibited in the territory bounded by and including Wacker Drive on the west and the north, Michigan Avenue on the east, and Congress Parkway on the south unless otherwise posted. Also, U-Turns are completed prohibited at any point closer than 100 feet to any intersection unless otherwise posted. A traffic ticket for an illegal U-Turn is a moving violation. Simply paying the ticket will result in a conviction. A conviction will appear on your public driving record and count towards a suspension of your driver’s license. Increased insurance rates, fines, court costs and traffic school are all possible consequences. If you receive a ticket for making an Improper U-Turn, contact the traffic attorneys at The Davis Law Group, P.C. to discuss your options. Our defense attorneys have the knowledge and experience to assist you in ensuring the best result possible. Our priority is to avoid a conviction and keep your record clean. Contact us today to discuss the specific details of your case. 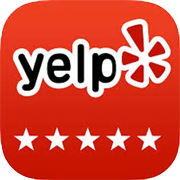 We can explain your options by means of a free consultation. We represent clients on traffic tickets throughout the Chicago Area including Cook County, Lake County, and DuPage County.